Hi Friends! 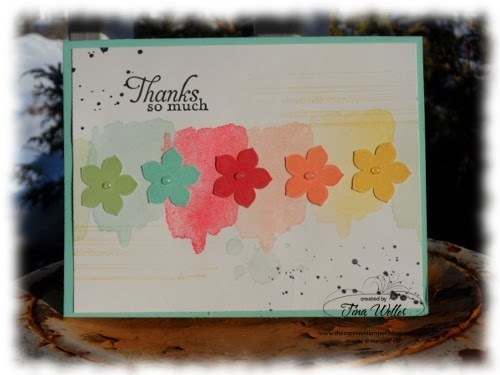 Today I made some Thank You cards and I used the Petite Petals Stamp Set and Punch Bundle and the new Happy Watercolor. 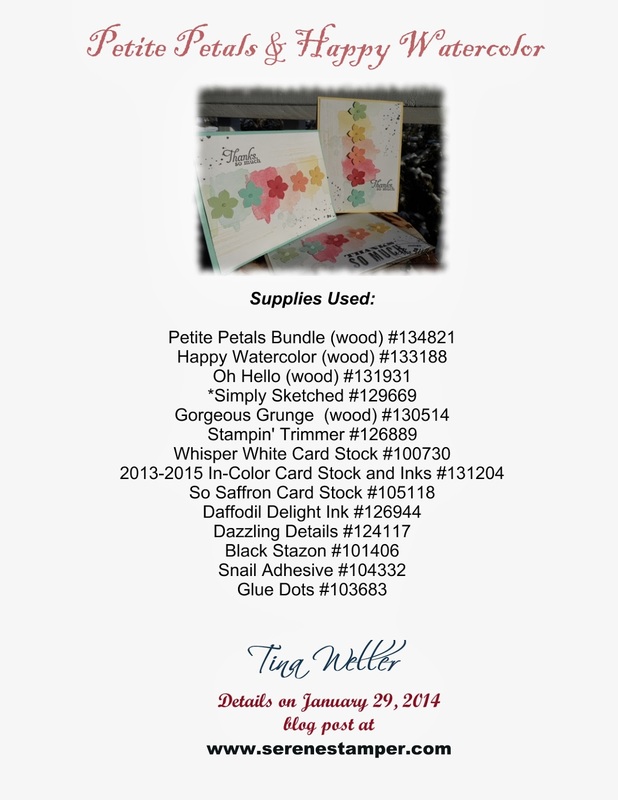 Both of these sets are in the 2014 Occasions Catalogue, which you can view HERE. 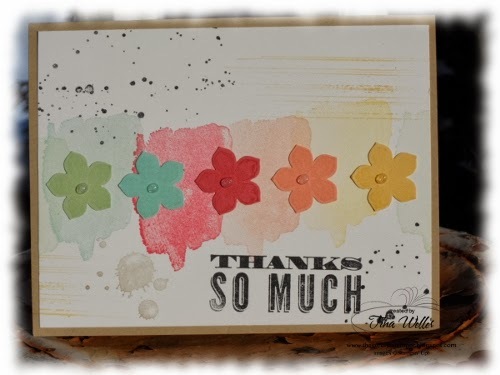 For this card I used the "Thanks So Much" stamp from "Oh Hello". I am actually completely out of Rhinestones and Pearls (yes, I'll be expediting my next order...) so I used some Dazzling Details in the centre of the flowers. It's hard to see in the photos, but they're all sparkly and pretty! Frenchie will be back tomorrow with her "Passport Pals" guest post and I'll be sharing a project on her blog too! Until then, enjoy the day and HAPPY STAMPING! Love this card! So ready for the frsh colors of Spring - and the warmer weather, of course! I so agree with you! Thanks for visiting - hope you come back again! 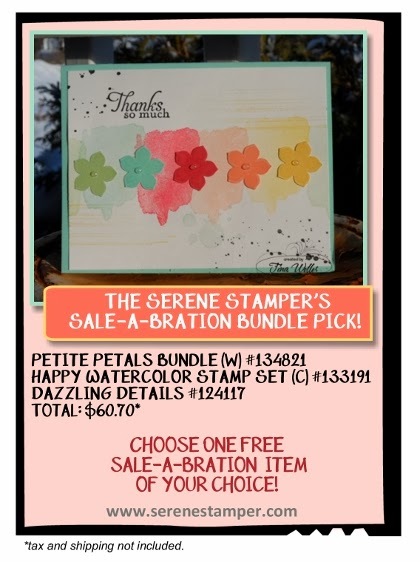 HAPPY STAMPING, Friend!